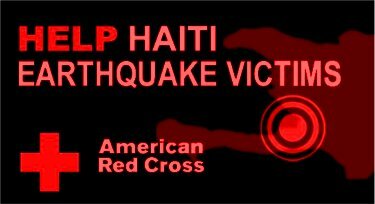 Today, Global Women’s Strike is calling for a picket of the Red Cross, in protest of what they are referring to as the organization’s “theft of aid” in Haiti. Actions are planned in various locations around the globe, including today in Philadelphia from 4 to 5 pm at the Red Cross building at 2221 Chestnut Street. Especially at issue is the Red Cross’ decision to build a luxury resort and hotel on $10,000,000 of land they quietly purchased in the country after the 2010 earthquake, with funds donated by American Red Cross chapters for emergency relief of people whose lives were ravaged by that horrific disaster. Some of us spoke out outside the London Red Cross in May 2012. It was one of the biggest beneficiaries of public donations: at least $479m to the US Red Cross alone (whose CEO earns $600,000 a year). Hardly any of these millions have reached the survivors. Instead the Red Cross is using some of it to build a luxury hotel and conference center in Haiti. We must protest this grand theft. Public policy centers have weighed-in on the wisdom of the Red Cross’ planned construction. Accusations of malfeasance on the part of charities, especially massive entities like the $3.3 Billion budget Red Cross, are common and to be expected. Scrutiny of such a large investment of public funds is reasonable and prudent, and equally as prudent is ensuring that information being spread about the practices of non-profits is accurate. The Red Cross has responded to such accusations recently. Several inaccurate emails have been circulating for some time about the salaries of large charity CEOs, with a frequent uptick in activity during the holiday season. These emails contain inaccurate information about the compensation of the president and CEO of the American Red Cross, and in fact are wrong about the name of the Red Cross CEO. These viral emails include the name and photo of Marty J. Evans and mistakenly refer to her and her compensation as the current CEO, even though she left the Red Cross many years ago. 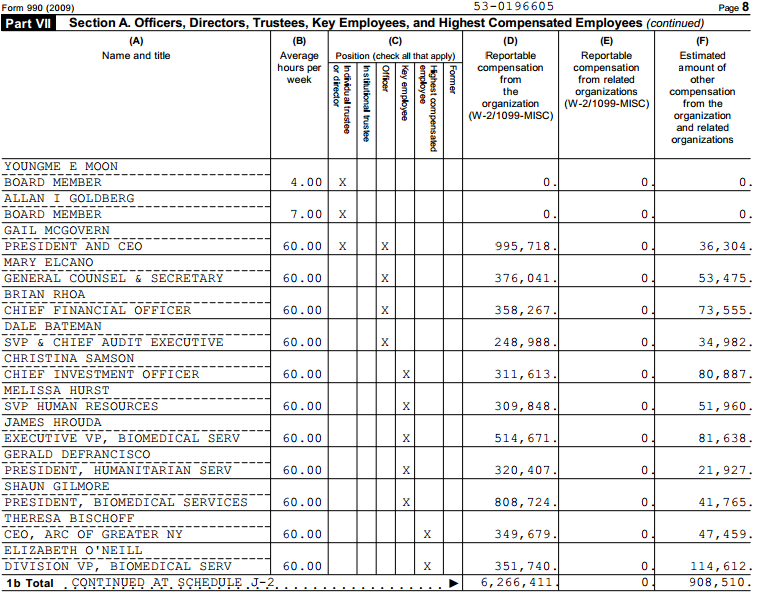 The president and CEO of the American Red Cross is Gail McGovern, and her base salary has remained $500,000—without any pay increase—since she joined the American Red Cross in 2008. This is considered well within the range for executives of large non-profits like the Red Cross, a $3.3 billion organization. “Reportable compensation from the organization: $995,718; Estimated amount of other compensation from the organization and related organizations: $36,304. Even if we discount the second figure as possibly from other organizations, the Red Cross’ adamant claim that Ms. McGovern’s “base pay” is $500,000 and has remained so for her tenure constitutes more than a questionable manipulation of terminology and general bad faith. In light of the context, correcting erroneous “viral rumors,” the Red Cross’ press release is an outright lie. Such a response to public scrutiny will and should color our assessment of the Red Cross plans to use disaster relief funds for questionable investments. Check back later for our coverage of today’s protest in Center City. Every time a disaster occurs, instead of reaching in your pocket to donate to CEO salaries & travel perks, why not donate directly to a person/ family affected? I’m tired of misleading generosity, volunteerism & support that doesn’t reach the intended party. Shame on the American Red Cross. I witnessed, first hand, how the American Red Cross gave volunteers free theater tickets, restaurant vouchers & hotel accommodations post 9/11. Yes, some of the work helped those in need…but imagine how much more could’ve been done? Volunteer means offering, for free..not with perks given by hard-earned & caring donations.